Step into pretty much any home and somewhere you will encounter tile. Walls, floors, occasionally ceilings. 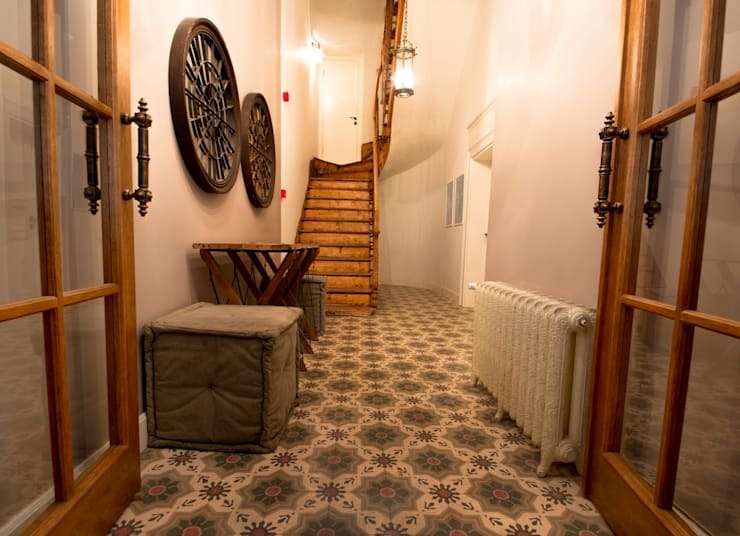 Kitchens, bathrooms, hallways, foyers and lots of other rooms. This versatile material is one of the most frequent go-tos of designers, contractors and home owners. Tile comes at all price points and in many different shapes, colours and media. It's also durable, making it a favourite choice for hard-working areas like kitchen back-splashes and bathroom floors. But tile's biggest selling point is its style. When it comes to decorating our homes, there's a tile for every taste and every space. Today, we're diving in to share ten of the latest trends for this timeless material. We start our tour with the ubiquitous subway tile. These rectangular tiles, usually in white, are a classic. Subway tile works in a modern or traditional home, is easy to install, and price per square foot is usually relatively reasonable. To make this classic new again, take a lesson from Toronto’s Studio Z and break out of the traditional brick pattern (also known as running bond). 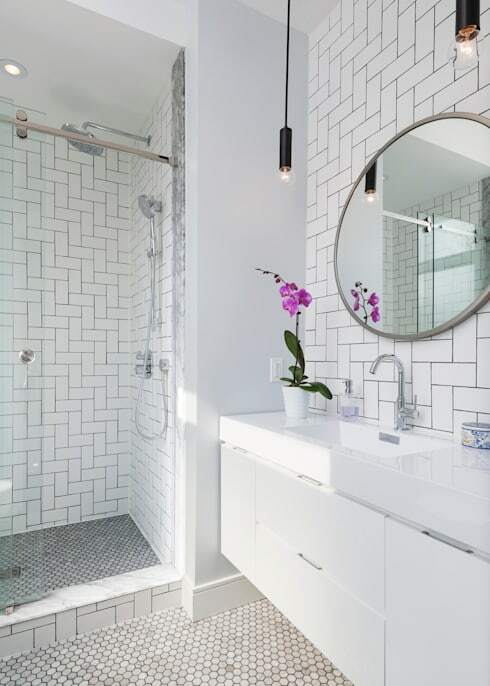 In this bright ensuite bathroom, Studio Z had the subway tile installed both vertically and horizontally, creating a diagonal herringbone pattern on the walls. The dark grout against the white tile is another trendy choice and emphasizes the individual tiles, making the pattern standout. This diagonal pattern is a fresh take on a traditional material and adds a feeling of movement and energy to the bathroom. 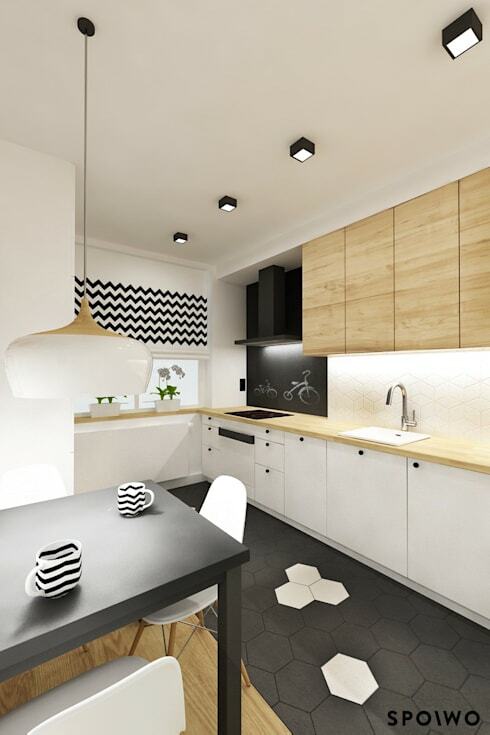 Black and white hexagon tiles are another classic tile combination. Think little black rosettes set into a bathroom floor, or a band of single black tiles marching around the perimeter of the room. This classic has grown up in recent years--literally. In addition to the ever-popular mini-mosaic tiles, hexagons now come in XXL versions. The large format can add a modern edge to a space--and, when used in the classic black and white palette, a bit of a cheeky reference to the tile's historic roots. Traditional hex tile patterns usually consist of a few black tiles on a white background. For a modern installation, opt for more black than white. 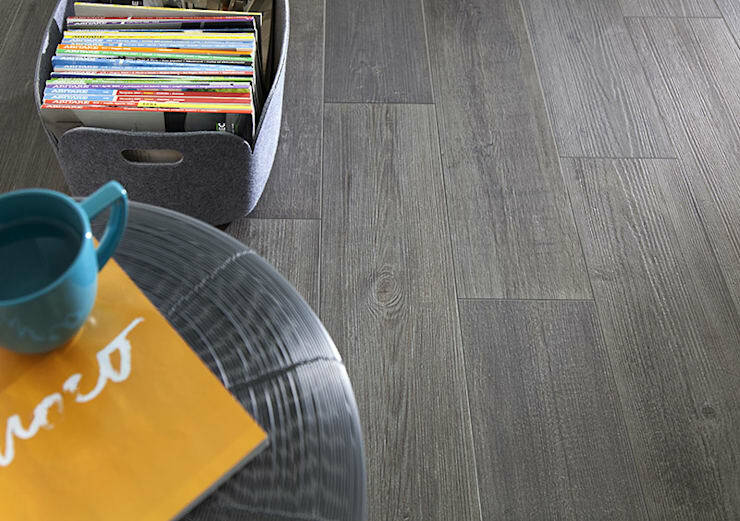 And rather than rosettes or rows, sprinkle individual tiles or clusters randomly across your floor. Tone-on-tone grout keeps the look clean, as the lines between the tiles don't distract from the overall look. Ombre – where a colour fades from light to dark (or vice versa) – has emerged as a trend in fashion, showing up in everything from clothes to hair. Now it's showing up in our homes as well. In this fun bathroom, the tiles seem to bubble up the wall. Starting with black on the bottom, the tiles progress from dark grey to light grey and then to white at the very top. Rather than being completely linear, various tones are intermixed, creating a more gradual fade as our gaze traces up the wall. Most people prefer consistent flooring throughout their homes. Multiple materials can make a home feel choppy and small. And when it comes to selecting that one material, the choice these days is hardwood. However, when thinking about their kitchens, bathrooms and entryways, many homeowners hesitate to use wood. Wood and water don't mix. So for areas that see splashes, spills, puddles, mud and mops, most homeowners are looking for a durable flooring material. In recent years, several new products have come on the market that offer the durability and water resistance of tile, but the style and look of wood. These wood-grained tiles come in a variety of finishes and patterns that fit your home's unique design. And many are nearly indistinguishable from real hardwood. After years of neutrals--black, white, natural stone--some homeowners are ready to make a statement. Bold, patterned cement tiles are popping up in hallways, foyers, kitchens and bathrooms across Canada. These colourful, geometric designs are a way to represent your individual style and make your home stand out. Some tile are limited editions or hand-painted, ensuring that your choice is unique to you. These trendy tiles are a definite departure from the more subdued options that have dominated tile choices previously. And as a result they're not for everyone. However, you can still embrace the trend without committing to a room full of pattern. Inset panel of tiles just in the backsplash above your stove. It will create a feature wall in your kitchen, but won't overwhelm the whole room. Or, for an even lower-commitment option, select a few favourite tiles, attach hooks to the back and hang them on the wall as art. 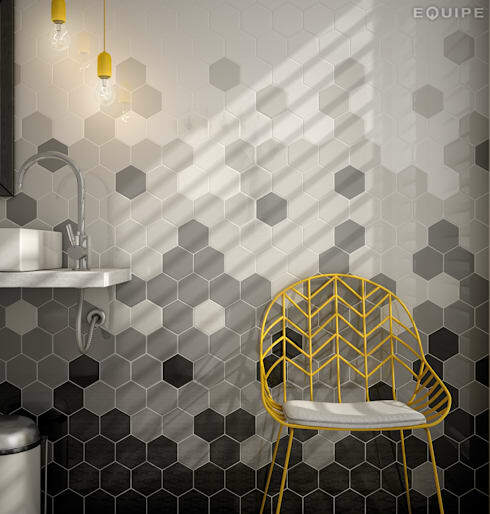 Small, symmetrical, repeating shapes – like penny rounds, hexagons and even small squares – have been one of the biggest tile trends in recent years. These designs show no sign of going away, but the shape of the tile have evolved. Now the most popular choice is arabesque tile. Arabesque refers to an ornamental design consisting of intertwined flowing lines, originally found in Arabic or Moorish decoration. These curved, flowing tiles work well in any space of your home, whether a shower wall or a foyer floor. The sinuous shapes and lines can create a soft, organic feel in a space--a contrast to the usual rectangular hard edges most associated with tile. Most rooms need a touch of sparkle, but why stop there? Milanese design office PLA/STUDIO decided to go big with a full wall of reflective gold tiles in the bathroom of this Italian home. There's nothing like glitz and glam to make a utilitarian space like a bathroom feel special. 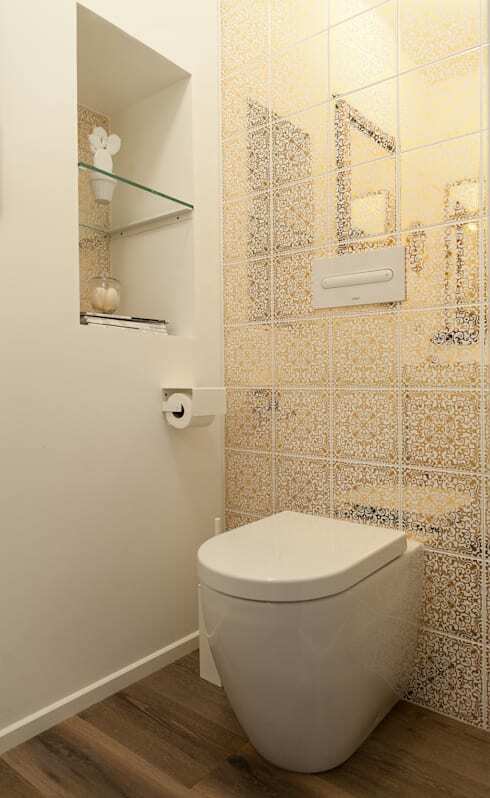 And a bathroom is the perfect place to take a design risk--like bright metallic tiles. Plus, the reflective tiles serve the same function as a mirror, making the space feel larger. See the rest of this stylish house, including the cute kittie who calls it home. Nothing gives a space a unique character quite like an exposed brick wall. From lofts to row houses, the brick wall is a desirable feature. 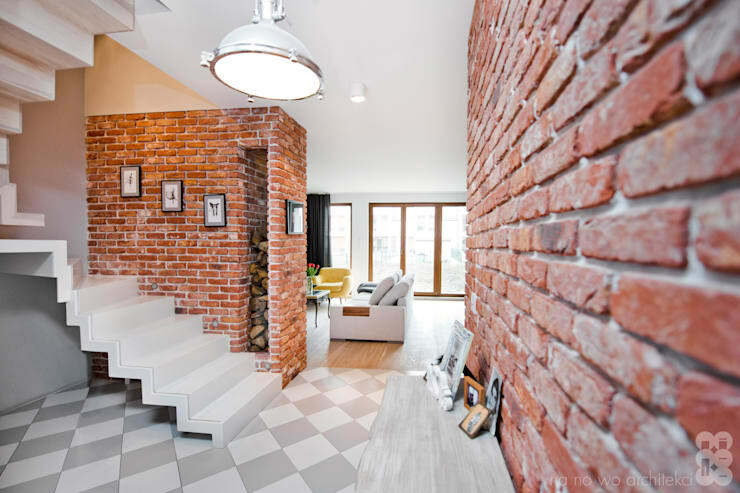 Thanks to brick tiles, it's a look you can easily mimic, even if your home isn't in a converted factory. To create the tiles, old bricks are cut into thin slices--slightly thicker than standard tiles. The slices can then easily be mounted on the wall to create an instant historic feel in your space. Some suppliers offer a variety of different tones, so you can mix and match to get the exact look you're going for. And if red isn't your thing, consider whitewashing or even painting over the brick. You'll still get a beautiful, touchable texture, and a distinctive feature for your home. One of tile's biggest assets is its durability, making it the choice for bathrooms. However, sometimes you want something a bit more picturesque than the usual symmetry and geometry of most tile. This tile replicates the beauty of hand-painted Chinese wallpaper. The pattern stretches across the individual tiles and comes together like a puzzle. 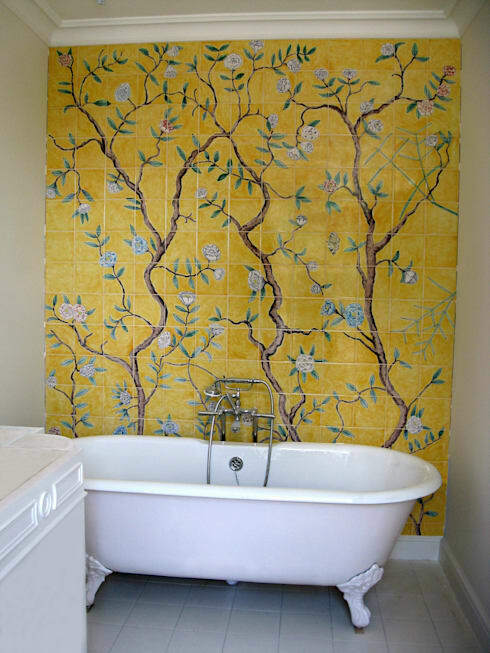 The vibrant colours of the peony flowers on a rich yellow background are a standout feature in this neutral bathroom--and the tile will stand up to even the most raucous bubble baths. The final item in our top ten list comes to from Canada Water Cafe in London, England. Peter Ibruegger Studio shows that when it comes to tile, the possibilities are nearly endless. More then 4,000 tiles were installed throughout the restaurant, including the whole kitchen area. The designs include snakes, faces that smile, wink and kiss, shapes, seemingly infinite swirls and even text. 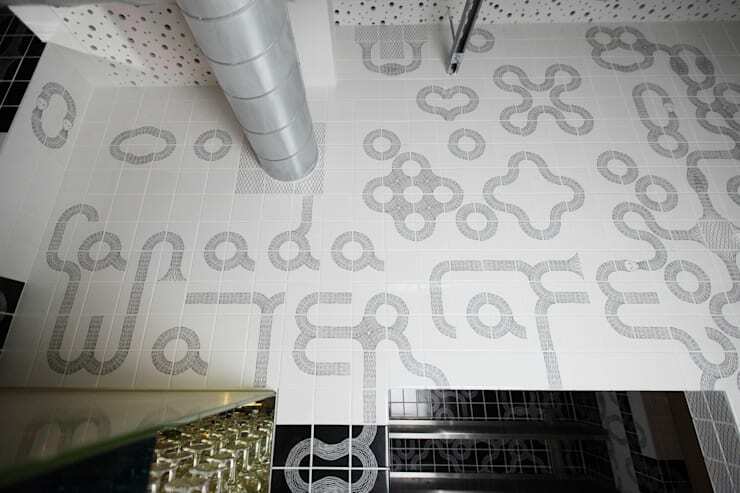 The designers have used the tile as an art installation, rather than just a functional or decorative surface.